In this, his last book, Dr. Deming explains the "System of Profound Knowledge" that he developed to enable businesses to make the necessary transformation for success in today's world. Deming also shared his thoughts on Leadership, Management, Variation, Cooperation, Shewhart's Charts, and other topics. 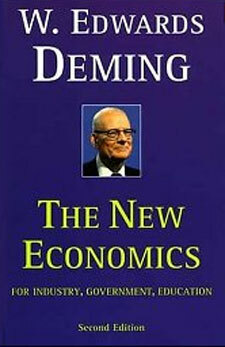 This book was completed shortly before his death in 1993, and it is a valuable reference for anyone interested in Deming's work. The class clearly answered all the questions I had regarding SPC. The multitude of examples helped me apply SPC to my work.